Question: Does Cognitive Behavior Therapy Include Insight? Answer: Insight is always a part of cognitive therapy — an important part, but not an end in itself. We help patients gain insight into why they have unhelpful or upsetting reactions. Their emotions and behavior make sense once they understand how they perceived a given situation. And the characteristic themes in their perceptions (represented by their automatic thoughts) make sense once they understand their underlying beliefs. This insight alone, however, is not sufficient for most patients to recover from their psychiatric disorder or improve their psychological functioning. They need to solve problems and change their thinking and behavior to bring about enduring change in their mood and functioning. From the first session, we help patients learn how to identify and evaluate their distorted or dysfunctional thinking, a process which results in improvements in how they feel and what they do. Many patients also benefit from learning to adopt a different relationship with their thoughts (as described in Acceptance and Commitment Therapy and Mindfulness); instead of evaluating their cognitions, they note them non-judgmentally and focus their attention elsewhere. Some patients, particularly those who have personality disorders, benefit from gaining insight into how their past experiences are influencing their current experience. With many of these patients, it’s useful to help them gain insight into when (usually specific experiences in childhood, adolescence, or early adulthood) and how these beliefs developed and how they became strengthened over time. Guided discovery, imagery, and psychodrama techniques often help them develop new understandings about themselves, their relationships, and other people. We then always help them bring their new understanding back to the present. Even if their ideas were largely accurate at the time, to what degree are they still accurate (and helpful) now? What has the patient learned that will help him or her have a better week? Insight is an important part of cognitive therapy — but rarely sufficient to bring about lasting change. https://beckinstitute.org/wp-content/uploads/2015/05/TTC_6710-1-1.jpg 3680 5520 Andrew Bartosh https://www.beckinstitute.org/wp-content/uploads/2016/08/beck-cbt-logo-white.png Andrew Bartosh2015-05-27 11:19:262016-08-16 14:23:32Question: Does Cognitive Behavior Therapy Include Insight? is to encourage the growth and dissemination of CBT throughout the world through leadership in the field and through the provision of professional training, outpatient clinical services and research. 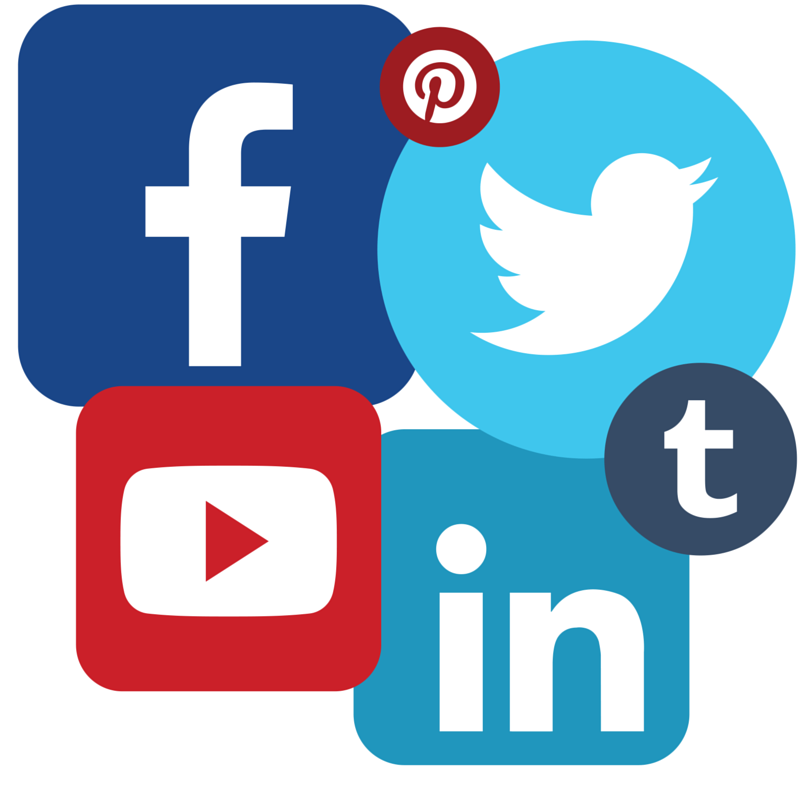 We have a wealth of great complimentary resources available through our social media channels — hope you’ll take time to explore them! For news and media about Beck Institute including workshop announcements, video clips from our workshops, and photos from various events, follow Beck Institute on Facebook or Twitter. To stay up to date on new research, studies, and news in the field of cognitive therapy, follow the Cognitive Behavior Therapy Facebook page and subscribe to the Beck Institute Blog, which also includes a special inside look at Beck Institute. For audio and video from Beck Institute workshop question and answer sessions and interviews with both Drs. Beck, explore our Youtube and Soundcloud pages. Professionals on LinkedIn can connect with Dr. Judith Beck, Dr. Aaron T. Beck, or Beck Institute for news, research, and workshop announcements. After attending a workshop, participants are invited to the Beck Institute Alumni LinkedIn group for networking, which provides a great resource to continue learning after the workshop is over. Information about training in CBT — workshops, supervision, consultation, webinars –can be found at www.beckinstitute.org. The Beck Diet Solution is also on social media. Diet program coordinator Deborah Beck Busis, LCSW posts daily diet tips to motivate dieters to lose weight and keep it off. You can find her tips and CBT techniques on the BDS Facebook page, Twitter,Pinterest, Tumblr, Google+, LinkedIn, and on the BDS website, blog, and newsletter. Join us as we continue to count down the 94 most memorable moments in Dr. Aaron Beck’s life, leading up to his 94th birthday in July. 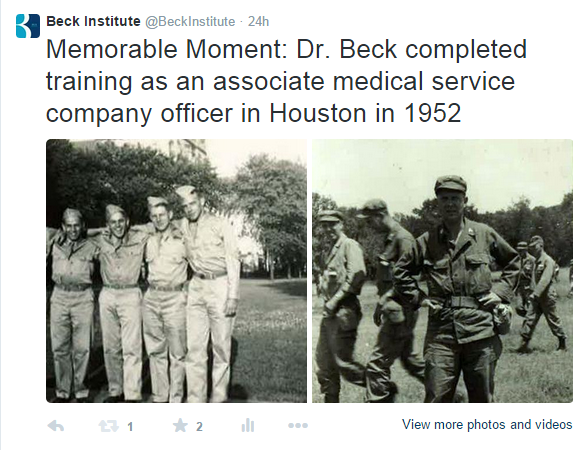 Follow Aaron T. Beck on Facebook or Beck Institute on Twitter to see the daily posts. Abstract Objectives: This secondary analysis of data from a randomised controlled trial explores associations between common symptom clusters and evaluates pre-treatment to post-treatment changes in clinical levels of these symptoms following cognitive behaviour therapy for insomnia (CBT-I). Methods: Baseline data from 113 participants with insomnia were explored to establish rates of and associations between clinical levels of fatigue, anxiety and depression across the sample. Effects of CBT-I on this symptom cluster were also explored by examining changes in pre-treatment to post-treatment levels of fatigue, anxiety and depression. Results: At baseline, the most common symptom presentation was insomnia + fatigue, and 30% of the sample reported at least three co-morbid symptoms. Post-CBT, the number of those experiencing clinical insomnia and clinical fatigue decreased. There were no changes in anxiety rates from baseline to post-treatment in the CBT group and modest reductions in rates of those with clinical depression. Seven individuals (9.6%) from the CBT group were completely symptom free at post-treatment compared with 0% from the treatment as usual condition. Chi-square analysis revealed a significant relationship between group allocation and changes in symptoms of insomnia and fatigue. No such relationship was found between group allocation and mood variables. Conclusions: These findings confirm the high rate of symptom co-morbidities among cancer patients and highlight strong associations between sleep and fatigue. CBT-I appears to offer generalized benefit to the symptom cluster as a whole and, specifically, is effective in reducing fatigue, which exceeded clinical cut-offs prior to implementation of the intervention. This has implications for the diagnosis/management of common symptoms in cancer patients. Fleming, L., Randell, K., Harvey, C., & Espie, C. A. (2014). Does cognitive behaviour therapy for insomnia reduce clinical levels of fatigue, anxiety and depression in cancer patients? Psycho-Oncology, 23, 6, 679-684. Jessica Marie Russell, MA, LPC, LAC traveled from Colorado Springs for the Beck Institute Workshop on CBT for Substance Abuse. She works as a program supervisor at Spanish Peaks Behavioral Health Centers in Colorado. She primarily sees substance abuse clients and wanted to learn to help her clients with their cognitive distortions. Her organization is focused on ensuring that teams have access to the best tools they need to provide excellent care to their clients, which brought her and 5 co-workers to Beck Institute. The best part of attending the training? “I saw my textbooks come alive. I saw Dr. Aaron Beck walking around!” She enjoyed seeing Dr. Aaron Beck’s role play with a participant who was overly optimistic, and she was able to better learn how to motivate clients who have a habit of “painting everything wonderful”. The status of mental health care in regard to substance abuse has shifted in recent years as Colorado has legalized the use of marijuana. As the first state in the US legalizing marijuana, Colorado has seen an “epidemic” of clients who move into Colorado from other states and countries, without a home or employment. This has caused a drain on the health care system, and subsidized housing is overflowing with applications. This influx of clients has been difficult on clinicians, especially those who do not specialize in treating substance abuse. However, to attempt to combat the negative impacts, the state has been able to use tax money from the sale of marijuana toward mental health and substance abuse prevention, which includes providing education to clinicians and counselors, and that is how Jessica was able to travel to Beck Institute. When we train CBT supervisors, we first train them to be effective CBT therapists. Most of the competencies listed above have parallels in CBT treatment. Once therapists have developed a sufficient level of competence as a therapist, we provide training and supervision in CBT supervision, which includes reading the literature on CBT supervision, attending workshops on training and supervision, and receiving supervision on doing supervision (based on tape reviews of both client sessions and one’s own supervision sessions). Self-reflection is also a crucial part of effective supervision. Supervisors need to objectively examine their knowledge and skill set and attitudes (about supervision, trainees, clients, and CBT in general). We first teach clinicians how to rate therapy sessions they conduct with their own clients (using the Cognitive Therapy Rating Scale), then how to rate the therapy sessions of their supervisees. We also help them assess how they conducted the supervision session. For example, did they appropriately attend to the supervisee’s developmental stage? (In our experience, supervisees with relatively little CBT experience may benefit from a somewhat more directive approach than an experienced CBT supervisees for whom greater collaboration is effective). Did they use experiential learning strategies such as role plays? Did they competently handle any ethical issues? Were they attuned to cultural and diversity issues between the trainee and themselves, the trainee and the client, and indirectly, the client and themselves? Did they actively seek feedback and respond appropriately to it? Finally, we teach supervisors (and supervisors-to-be) to reflect on the effectiveness of the supervision session as a whole. What did they do well? What might they need to improve upon? What can they do to increase their competency? Providing CBT supervision is an incredibly rewarding experience when you see your supervisees becoming more competent and confident and their clients making good progress. But a strong CBT clinician will not necessarily be a strong CBT supervisor. We encourage researchers to continue conducting studies to establish evidence-based CBT training and supervision competencies and practices — and we encourage clinicians who wish to become supervisors to seek out effective training. This article is an introduction to the second issue of a two-part special series on integrating cognitive behavioral therapy (CBT) into medical settings. The first issue focused on integrating CBT into primary care, and this issue focuses on implementing CBT in other specialty medical settings, including cancer treatment, HIV care, and specialized pediatric medical clinics. Models for treatment delivery to improve ease of implementation are also discussed, including telehealth and home-delivered treatment. The six articles in this series provide examples of how to transport CBT techniques that are largely designed for implementation in outpatient mental health settings to specialized medical settings, and discuss unique considerations and recommendations for implementation. Magidson, J. F., & Weisberg, R. B. (2014). Implementing cognitive behavioral therapy in specialty medical settings. Cognitive and Behavioral Practice, 21, 4, 367-371. Cognitive Behavior Therapy (CBT) is usually short-term, goal-directed, and skills based. Therapists help patients identify and solve problems and learn specific skills to change their thinking and behavior so they can make lasting changes in their behavior and general functioning. At each session, patients record responses to their unhelpful and inaccurate thinking, along with steps they have committed to take in the coming week. A growing body of literature has demonstrated the effectiveness of CBT for people with diabetes. For example, a randomized controlled trial published last year in Diabetes Care showed that CBT enhanced treatment adherence and decreased depression in type 2 diabetes patients. In this study, participants received either enhanced usual care or enhanced usual care plus a CBT intervention. Four months after treatment, the group receiving CBT intervention showed greater improvements in medication adherence, depressive symptoms, and diabetes control compared to the usual care group. At the 8-month follow up, the CBT intervention group maintained their gains in adherence and diabetes control. Safren, S. A., Gonzalez, J. S., Wexler, D. J., Psaros, C., Delahanty, L. M., Blashill, A. J., Margolina, A. I., … Cagliero, E. (February 20, 2014). A Randomized Controlled Trial of Cognitive Behavioral Therapy for Adherence and Depression (CBT-AD) in Patients With Uncontrolled Type 2 Diabetes. Diabetes Care, 37, 3, 625-633. This study aimed to gain an understanding of the aspects of trauma-focused cognitive behavioral therapy (Trauma-Focused-CBT) for post-traumatic stress disorder (PTSD) that service-users find important in contributing to their improvement. Nine people (5 females and 4 males, mean age 53 years old who had received on average 12 sessions of Trauma-Focused-CBT) who reported a significant reduction in their symptoms following treatment of PTSD took part in semi-structured interviews. Interpretative phenomenological analysis identified five themes: Living with Symptoms before Therapy; Feeling Ready for Therapy; Being Involved; Bringing About Therapeutic Change; and Life After Therapy. This study contributes towards a clearer understanding of the aspects of the Trauma-Focused-CBT process that service-users found important in aiding their improvement. In particular, it highlights the central role that participants attributed to their own involvement in the therapeutic process and how much they valued this. Limitations and future directions are discussed. Lowe, C., & Murray, C. (2014). Adult service-users’ experiences of trauma-focused cognitive behavioural therapy. Journal of Contemporary Psychotherapy, 44, 4, 223-231.